Set up server-side rules in your Domino Directory or using any third-party product that can apply rules to mail routing. Simply define which messages are to be processed by Cryptshare. If a user sends an e-mail that is being processed by Cryptshare the user will receive a notification. Users may wish to use Cryptshare even though policy does not demand it, for example if very confidential information is to be sent. In this case the Cryptshare Icon in the toolbar can be used. 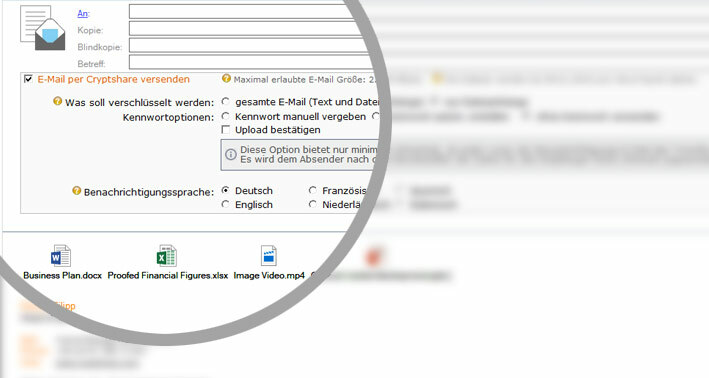 Clicking on the toolbar icon, the Cryptshare e-mail form will open allowing you to write your message, attach your files and set the options for your secure transfer, including the encryption of your e-mail message as well as the files to be shared. The Cryptshare for Notes Widget in the Notes Client's sidebar provides a third option to access Cryptshare. You can drag & drop files from other Notes applications quickly into the Widget, enter recipient addresses, subject, text and set transfer options very easily without having to leave the application you are currently working in. 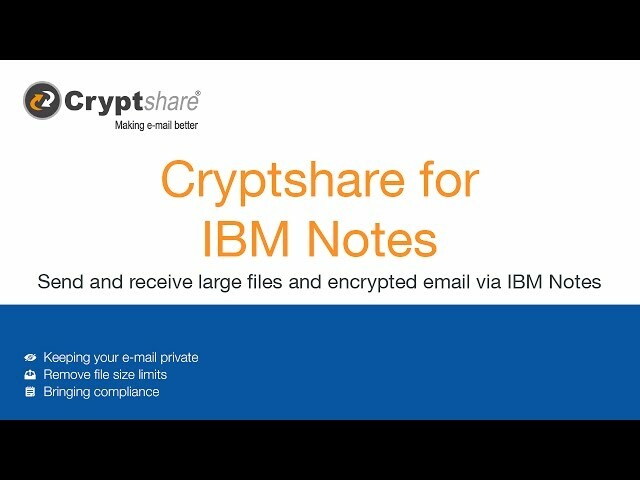 Together these optional operating modes bring flexibility and strength to your IBM Notes system, but above all Cryptshare is very easy for your staff to understand and use. Administrators will love the fact that no changes need to be made to any standard database templates at all. 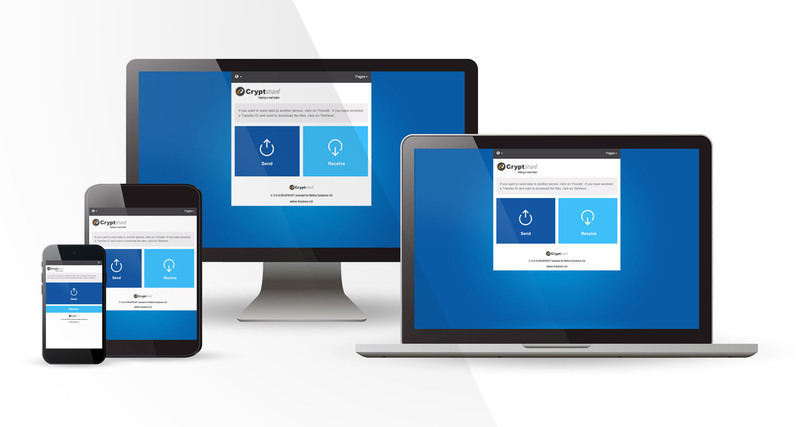 It allows your users to exchange encrypted email with any external contacts without having to install software, certificates or user accounts in advance. It is not only an easy and safe alternative to the use of cloud services for the exchange of large files, but also much more flexible than S/MIME and PGP for encrypted e-mail communication. In addition, you gain complete traceability of all messages and files sent or received using Cryptshare for Notes. 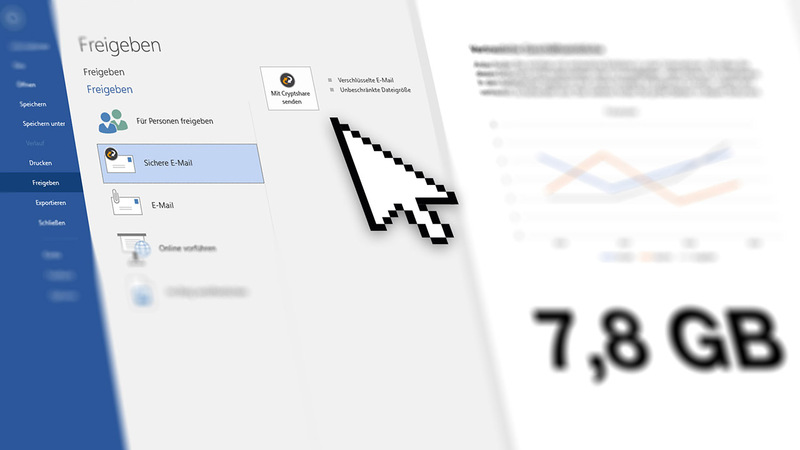 Size limits when sending or receiving file attachments become obsolete without adding additional load to your e-mail infrastructure. Cryptshare detaches files from Notes e-mail messages or converts entire messages into files. The files are automatically uploaded to the Cryptshare Server. The recipient will receive easy to understand information, including a download link, through which he can retrieve the content provided. Cryptshare for Notes makes using Cryptshare even easier, because users remain in their familiar groupware environment. On request, sent messages can be stored in the mail database of the user. External recipients can open and store encrypted messages directly in their common mail program. By defining rules you can ensure that the benefits of Cryptshare for Notes are automatically used if your company standards require. 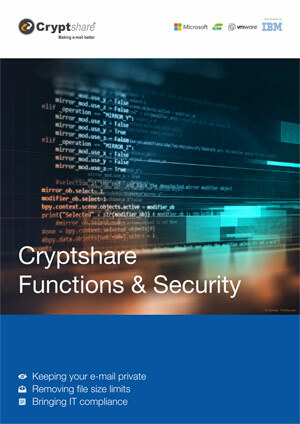 External recipients have the ability to respond confidentially using the Cryptshare web interface. They can also send large files to you, even if restrictions on the maximum size of e-mail messages exist in their own e-mail system.